The Arboretum’s annual Warm Trees event opens this weekend and is on until 29 July. Photo: Supplied. Ice-skating in Garema Place and scarves on trees at the National Arboretum are two of my favourite Canberra winter things. Both kick-off for another year this weekend. The National Portrait Gallery is having a busy weekend with a new exhibition — So fine: Contemporary women artists make Australian history — opening, and it is hosting a two-day forum on biography and creativity. The Forage is on again this Saturday afternoon and the Brumbies are playing their last home game of the regular season this Saturday night. Then on Sunday, there are a couple of musical options with the Australian String Quartet playing at the National Gallery, or the Shiny Bums Singers performing a mock-opera about the day in a life of a Canberra public servant at the Holy Trinity Primary School in Curtin. Take your pick! The Arboretum’s annual Warm Trees event opens this weekend and is on until 29 July. It is the largest knitted art installation in the world. 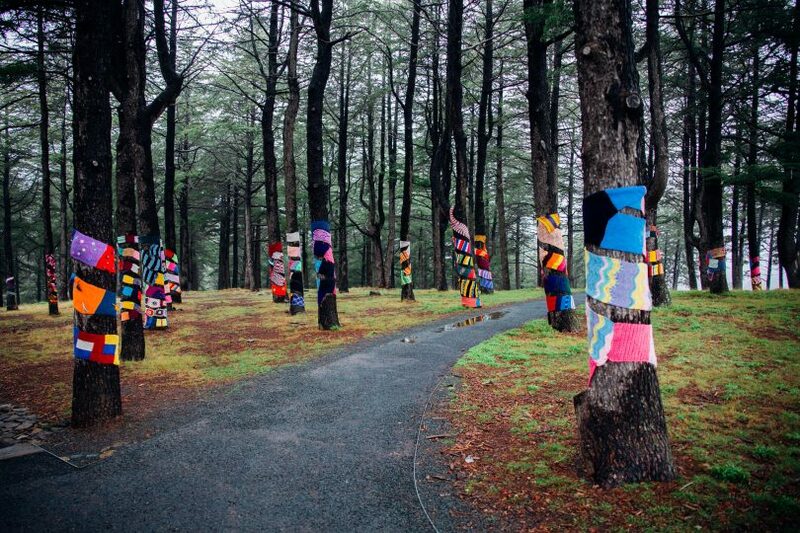 Knitters from around Australia and overseas have contributed scarves which are now wrapped around trees to brighten up the forests during winter. For this year’s event, the Arboretum has partnered with the New Zealand High Commission to create and display the world’s largest knitted kiwi, pohutukawa flowers and ferns. See these works at the entrance to the Village Centre. 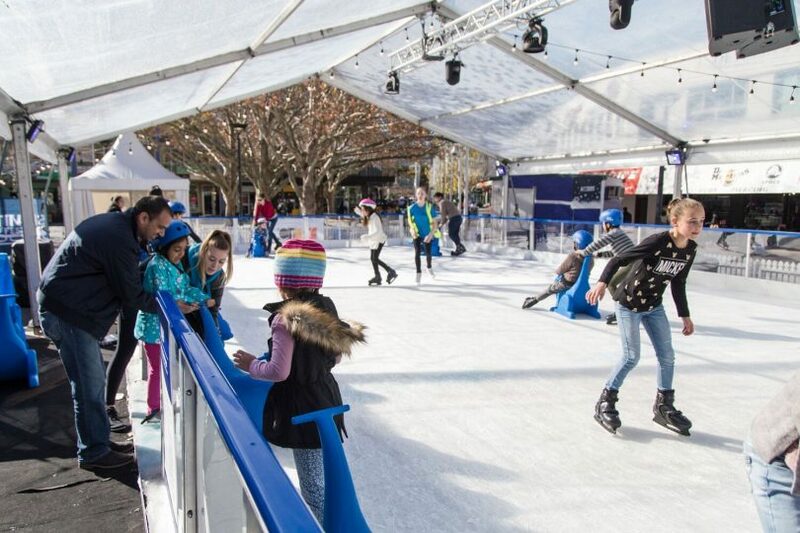 Ice-skating in Garema Place is back for another year. There will be an open-air rink, rides, kids and cabaret shows later in the season, and food and drink. This winter wonderland will be with us until 22 July. If you book online, tickets for ice-skating are $25 for adults (aged 14+), $18 for kids (aged 5–13), $9 for kids under 5, and $79 for a family ticket—2 adults and 2 kids. Tickets for the rides—ice slide, jumping castle and carnival ride—are $2, with discounts if you buy in bulk. Book all activities here. The cost for most activities is discounted slightly online. The National Portrait Galley’s new winter exhibition – So Fine: Contemporary women artists make Australian history – opens this weekend and is on until October. This exhibition brings together works from ten artists which explore portraiture as a contemporary art form and use it to reinterpret events, people and places from Australia’s past. The exhibition features the works of Shirley Purdie, Linde Ivimey, Bern Emmerichs, Leah King-Smith, Nusra Latif Qureshi, Nicola Dickson, Pamela See (Xue Mei-Leng), Fiona McMonagle, Valerie Kirk and Carol McGregor. Tickets are $10 for adults, $8 for concession, $5 for members and under 18s are free. Book here. local writers Kim Mahood and Lucy Neave running a workshop about writing responses to portraits. Tickets are $30 and $25 for members and cover both days. Book here. Andrew Sayers was a former, but importantly the first, director of the National Portrait Gallery, a former director of the National Museum of Australia and a former assistant director at the National Gallery of Australia. He died, aged 58, of pancreatic cancer in 2015. Just before his death, he painted this picture of artist Tim Bonyhady. 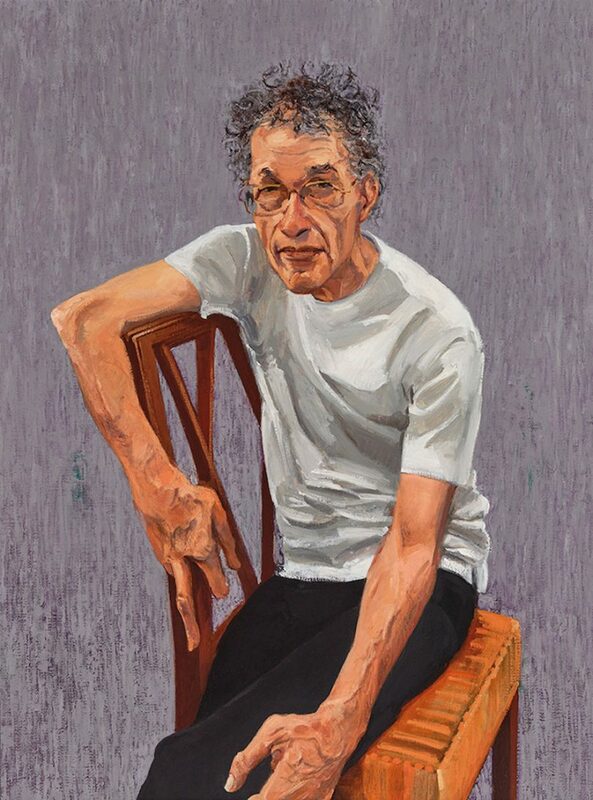 It was entered into the 2015 Archibald Prize and is now part of the Portrait Gallery’s collection. On Friday night, in the inaugural Andrews Sayers Memorial Lecture, Tim will talk about this painting and a remarkable precursor to it which was painted in Melbourne 125 years ago, of which neither Andrew nor Tim were aware at the time Andrew painted Tim’s portrait. There will be drinks and refreshments before the lecture, tickets are $40 or $30 for members, book here. The Forage is on again this Saturday, popping up outside The Little National Hotel in Barton to showcase local food, drink and music. The Forage aims to give local businesses an opportunity to feed the community in a festival style environment, and the community an opportunity to come together to sample some of the best of what local businesses have to offer. The music at this Saturday’s markets will be provided by Kim Yang, Michael Misa and Dana Hassell. 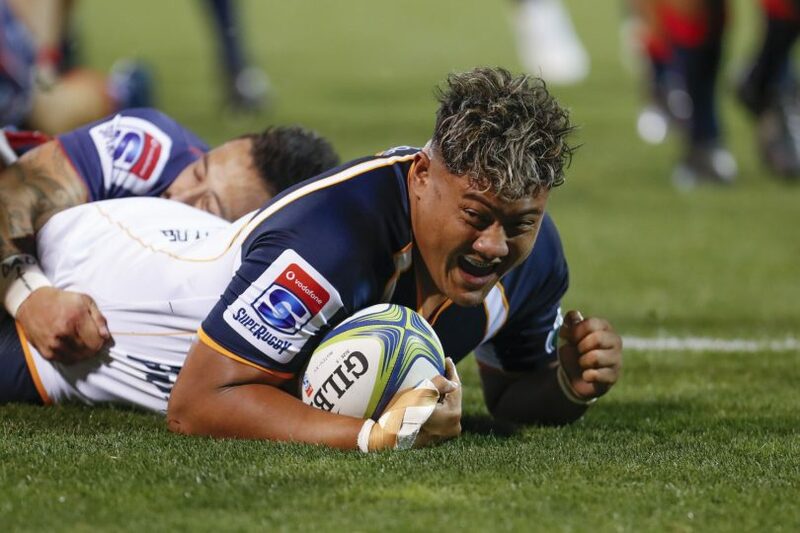 It is the final home game of the regular season this weekend for the Brumbies and they are taking on Wellington’s Hurricanes. They need to win this game to stay in with a chance of playing in the finals. Book tickets here. In this concert, the Australian String Quartet is performing Beethoven’s first and final string quartets—String Quartet in F major op 135 and Quartet in D major op 18 no 3—and a work by contemporary German composer Jörg Widmann—String Quartet no 3 Hunt Quartet. Widmann’s work channels the spirit of Beethoven and in particular the driving rhythms of his seventh symphony. For this concert, the Australian String Quartet will be performing with guest cellist Michael Dahenburg. Tickets are $75 for adults, $65 for concession and $30 for under 30s. Book here. The Shiny Bum Singers are performing a rock opera about a day in the life of a group of Canberra public servants—fire drills, audits, IT system crashes, office romances and ministerial interference. The day is then topped off with the news that the department will be relocated to Crookwell! You can join in choruses. Tickets are $20. Book here.